Tinnie was named to the Real Deal's May 30, 2014 "Top Residential Agents of the Week." She was also featured in the article The Real Deal Top Manhattan Agent. Tinnie’s representation of the well-known 30 Crosby Street was featured here, as well as here. She also represented 2 River Terrace. Tinnie's move to Compass was spotlighted in The Real Deal. Tinnie's representation of 100 E 53 was featured in Observer and Business Insider. High-end luxury sales in Manhattan and parts of Brooklyn. B.A. in Social Sciences from the University of Buffalo. Tinnie grew up on the Lower East Side neighborhood of Manhattan and has lived in New York City for most of her life. She has more than twelve years of experience as a real estate professional. Tinnie began her career on Wall Street, before being hired to head marketing and sales for a real estate development company on the Florida Gulf Coast. 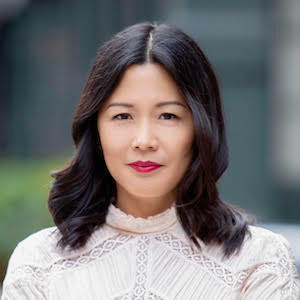 With a keen design sense, coupled with her honest, direct and client-centered approach, Tinnie helped launch the sales and marketing campaigns for several new developments before returning to New York City to further her real estate career. Once back, Tinnie started her own real estate sales brokerage, which she helped grow and manage for several years. Upon joining Compass in June of 2014, Tinnie formed the Tinnie Chan Sassano Team with Yardena Agresta. Together, the team's dynamic foundation and market expertise provides an unparalleled range of services to their clients. At Compass, Tinnie worked as the Director of Sales for 100 E 53rd Street - a Compass new development project, with the sales team led by Compass’ President, Leonard Steinberg. Designed by world-renowned architect, Sir Norman Foster, the project is a partnership between world-class real estate developers, RFR and Vanke, and will soon be a “limited collection of modern residences in the lineage and context of the greatest art and architecture of the last century." Tinnie also served as the Director of Sales for 172 Madison Avenue - designed by Shamir Shah, the NoMad residences represent a unique opportunity for home ownership on one of the most renowned avenues in the world. Tinnie specializes in the Manhattan and Brooklyn luxury sales and new development markets. Discreet and diligent, she has earned a reputation as a savvy negotiator and passionate broker who always puts her clients' best interests first and foremost. She speaks both Mandarin and Cantonese. Outside of the office, Tinnie enjoys tennis, traveling, antiquing in the Hudson Valley and most of all, spending time with her two children. A new, exclusive collection of classically appointed, luxurious condominiums in the heart of historic Park Slope, The Homage on 3rd comprises of three two-bedroom full floor residences and a three-bedroom Penthouse duplex. Each residence boasts direct elevator access, 6-inch white oak hardwood floors and private outdoor space. The Homage’s spacious residences are thoughtfully designed for modern living with expansive open-plan layouts and ample storage space. Energy-efficient, European-engineered windows and a true virtual doorman system ensure 24/7 safety, security and serenity. With exquisite 526-acre Prospect Park just two blocks away outdoor space and recreation are limitless. Commuting is easy with several major subway and express bus lines serving the neighborhood. Bustling 5th and 7th Avenues feature award-winning restaurants and eclectic shops. Tree-lined streets, landmarked historic neighborhoods and exquisite Brooklyn architecture set a peaceful tone in this sought-after enclave.